The good news for Indian citizens in the US is that now the Indian passports will be printed in the US itself. This would bring the entire process down to mere 48 hours. Besides, reducing the turnaround time, this will also simplify the process by keeping it domestic to the US. 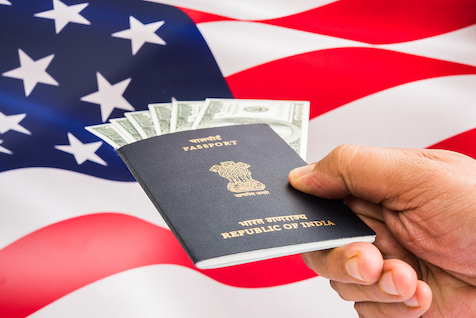 The Indian government has launched an initiative in major consulates in the US to simplify the overall passport applications procedure and reduce the turnaround time for applicants from 10 days to 48 hours or less. The Passport Seva Project (PSP) prints Indian passports in the US and reduces turnaround for applicants. The Consulate General of India, Houston inaugurated the PSP in Houston along with a team led by Minister of State for External Affairs, General (Retd) V K Singh. The team has been in the US to launch the project at Indian Embassy, Washington DC and in five Consulates- Atlanta, Chicago, Houston, New York and San Francisco. Last week, the PSP was launched in New York. The programme will be launched by the Ministry of External Affairs (MEA) at the Indian Embassy in Washington followed by the Consulate in Atlanta. It aims to operationalise all Embassy/Consulates in the US during the course of next 15 days. Acting Consul General, Surendra Adhana joined by senior official from the Indian Ministry of External Affairs, A K Singh handed over the first-ever passports printed using this project to the applicants on the spot. “Earlier, the passports applications were processed in the Consulate in Houston, while the printing was done in India. The entire process used to take about 6-10 days. Now, with the launching of the project, all the passports will be locally printed, which will drastically simplify the overall procedure and reduce the turnaround time,” Adhana told PTI. Will NASA-ISRO earth-imaging satellite pass the Trump test?